In every single disaster situation – from hurricanes to grid outages to warfare – one thing is almost always certain: hygiene disasters. 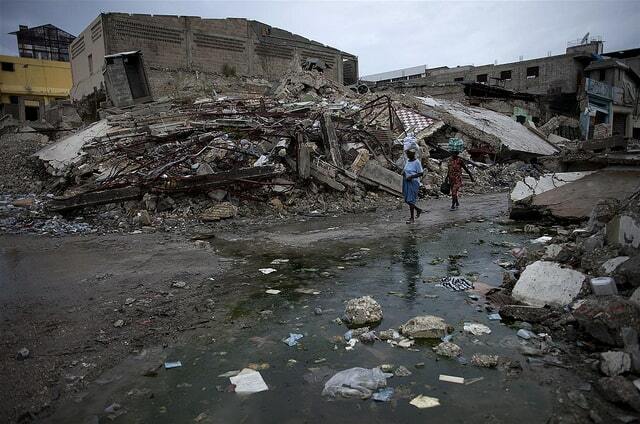 After the 2010 hurricane in Haiti, there was a massive outbreak of cholera which killed more than 7,000 people and affected more than 700,000. After the 2009 typhoons in Taiwan, outbreaks of infectious Leptospirosis occurred, which can cause symptoms from headaches to bleeding of the lungs. After the 2011 earthquake and tsunami in Japan, there were risks of radioactive poisoning from material which leaked from the damaged nuclear power plant. In refugee camps, outbreaks of infectious diseases like tuberculosis and diphtheria are common due to the crowded conditions. During wars, small injuries go untreated because of overcrowded hospitals and these minor injuries become infected and deadly. Don’t think that these hygiene disasters are limited to third-world countries. It can happen in the United States and Western countries too. Remember hurricanes Katrina and Sandy? Hundreds were affected by diseases like typhoid and cholera. There were also rashes, respiratory infections, diarrhea, and more health effects. Why Aren’t People Preparing for Hygiene Risks? Hygiene risks are almost inevitable after disasters. Even Japan experienced them after their major earthquake – and Japan was an almost unbelievable example of calmness and organization following a disaster. Yet no one is talking about the risks. Even fewer people are preparing for the risks. 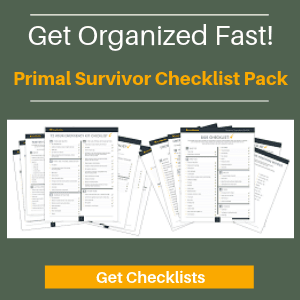 Sure, many preppers are stockpiling hygiene supplies like soap, antibacterial hand sanitizers, and cleaning supplies, but these personal preparedness steps overlook the larger issue. No amount of hand sanitizer is going to help when you’ve got a river of sewage going through your front yard! 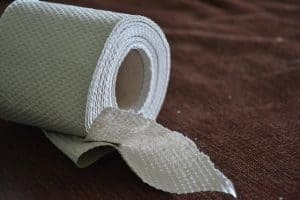 Here, I want to discuss the 5 main emergency hygiene issues which will likely arise after a disaster and how to prepare for them. When natural disasters occur, the plumbing system may go down – which means your toilet will be unusable. You better have an emergency toilet as a backup. 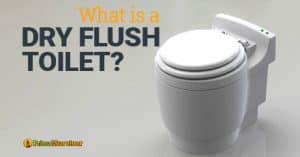 Read this article about emergency toilet options. Anytime that serious flooding occurs, you can count on sewage to backflow into your home or the streets. You can use bleach or boiling to make water safe to drink, but that only solves part of the problem. All that sewage will bring infectious diseases (including airborne diseases!). If you have to walk through the sewage water, you risk getting infected from sewage which touches cuts and wounds on your body (which you will surely have after a disaster). Pack Rubber Boots: Have knee or thigh-high waterproof boots like Wellingtons so you can walk through sewage water. Install a Sump Pump: A sump pump will keep sewage from entering your home during floods. The problem is that, when the power goes out, the sump pump will stop working. You can install a battery backup, but this will eventually die too. The best solution seems to be to install a “water alarm” and a MANUAL backup for your sump pump. You could also get a generator and use it to run your sump pump during a power outage. When disaster strikes, the trash trucks stop coming around. Soon trash starts piling up in your home and in the streets. Aside from all of the bad smells coming from the trash, the trash can bring infestations of rats which in turn can bring disease. Have sturdy boots, gloves, and rip-proof clothing: There is nothing you can do to prevent the trash from piling up in the streets, but you can reduce your risk of getting infected from the trash by minimizing contact with it. Wear sturdy boots, work gloves, and rip-proof clothing so you don’t get cut by something like a dirty old can. Stockpile lots of trash bags: You can never have too many trash bags for disaster preparedness! 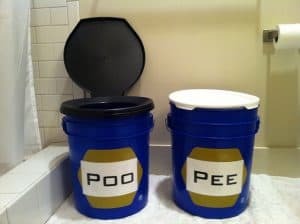 You’ll need these for keeping your trash sealed until you can safely get rid of it. Burn or bury your trash: An even better solution would be to organize a trash site for your neighborhood. Start by digging a very deep pit and having everyone put their trash there for burying or daily burning. Wear a mask so you don’t breathe in the plastic fumes. 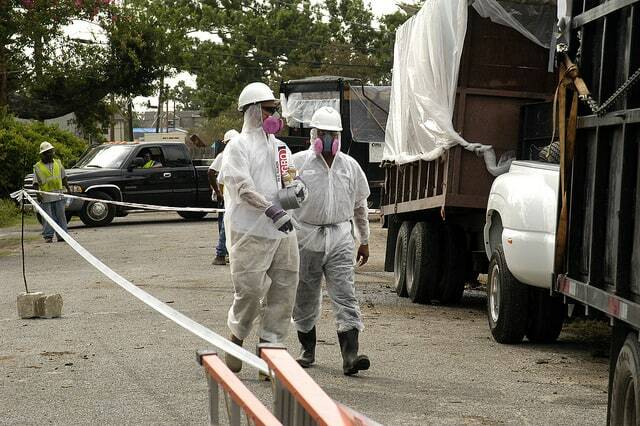 Hurricane Katrina workers protected against asbestos and other environmental hazards. No matter how many precautions you take to contain your waste and trash, you can’t count on others to do the same. In post-disaster situations with lots of crowding, you can expect there to be outbreaks of infectious disease. You need to factor this into your disaster prepping. 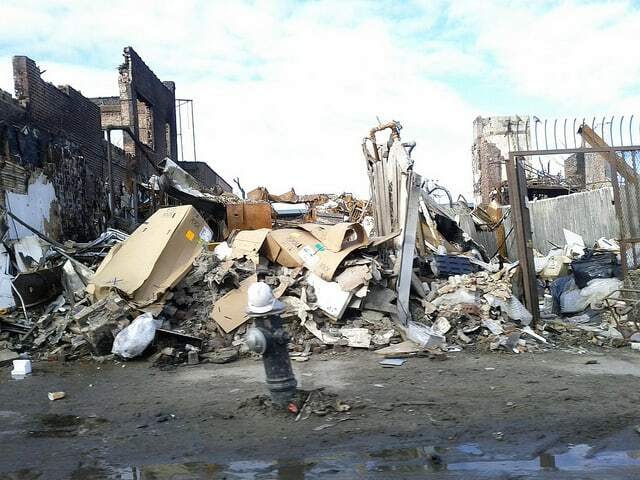 In addition to the infections, don’t forget that many harmful particulates may get into the air after a disaster – such as asbestos and lead from destroyed buildings. This was a major issue after the terrorists attacks of 9/11 and also after hurricane Sandy. Stay away from humans: Plan a secure, remote bug out location so you can minimize contact with infected people. 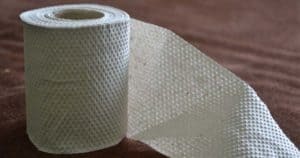 Stockpile cleaning agents: You’ll need isopropyl alcohol, hydrogen peroxide, bleach, and germicides to clean surfaces. Wear a respirator mask: Don’t leave home without a respirator mask to prevent infection from airborne contagions and ingestion of particulates like asbestos. Stockpile your first aid kit for infections: Your first aid kit needs antibiotics and antibiotic ointments. Pack extra anti-diarrheal medicines in case a member of your family gets diarrhea so you can minimize the risk of it spreading. Stockpile disposable gloves: This is another prepping item you can’t have too much of. You’ll want to wear them when outside. 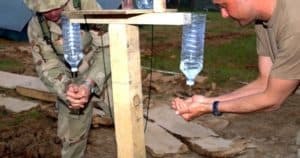 It will probably be easier to just wear gloves than to constantly wash your hands when clean water is limited. Stockpile extra water for washing: You need at least 2 gallons of water per day (1/2 gallon for drinking, ½ gallon for cooking, and 1 gallon for cleaning). Aim for even more water so you can properly wash your hands and shower. Wash your hands: Antibacterial hand sanitizers can help, but many diseases are spread by viruses – not bacteria – so those antibacterial solutions won’t help. You must have water and soap ready to wash your hands! Here is a disaster prepping problem that no one likes to talk about! However, it is actually pretty easy to prepare for this one. Start using a menstrual cup: This is preferred over tampons/pads because a menstrual cup is reusable. You just wash it out and reinsert it. In case you need to evacuate, you won’t need to worry about carrying lots of huge boxes of feminine products. Read about more about feminine hygiene in an emergency. 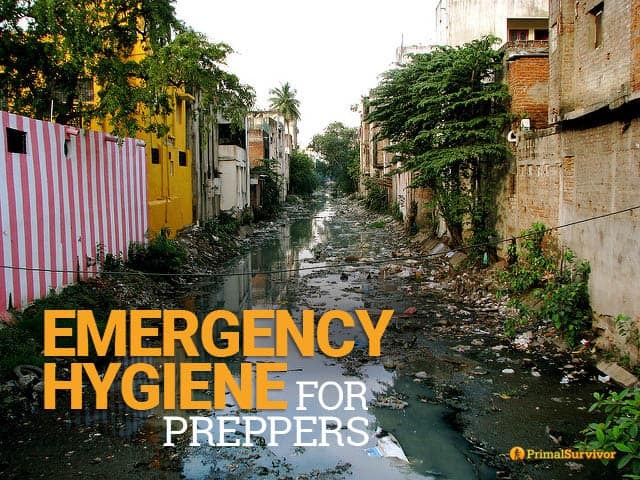 Have you taken any steps to prepare for hygiene issues after a disaster? What other hygiene risks are you prepping for? Thank You for your articles which are very valuable to me. I find things that I’ve forgotten or have not thought of. I appreciate how you brought up the topic of feminine hygiene. I’ve read so many stories, books, situations about prepping, and this is usually never discussed. I started using a menstrual cup about 5 years ago, and very rarely go back to pads or tampons. I love almost all aspects of the cup, and would recommend every woman to at least try it. I know that no one thing will work for everyone, or fit into their comfort zone, but this has made a world of difference for me. I found some off brand versions, and have at least 4. One in my purse, in the bathroom, in my emergency bag, and one kept brand new, in case I would need to barter/give to a family member or friend in a SHTF scenario. I keep many on hand because you never know where you’ll be when you need it, and the ones that rarely/never get used, can serve as replacements when my current ones need replaced. Thanks for bringing up this under-discussed topic. Recovery requires identifications: safeguard drivers license, etc to travel (even evacuations) and /or to apply for insurance benefits. Also, hard copies of pictures: your loved ones, including pets, to be posted if you are separated.